I've missed you all terribly. I've been in bed for what seems like the better part of January with bronchitis and I'm finally getting out from under it. I've never had bronchitis before and oofhh it's been nasty. I've also been staying away from social media because these past few months have been heavy, HEAVY. I'm extremely passionate about protecting and supporting human rights. I can't not do anything and a Facebook post is far from enough for me. I'm putting together a theatrical piece with my production company about different experiences in this political climate. I'll keep you updated on it, it's happening soon! I'm trying to let you guys in on more of my life. I find social media to have been very regimented and boring, I need to have more fun with it. SO I'm going to be more personal, less edited, less posed, which I love babes!! I think through these heavy times, that's how we overcome, by connecting more. That's a goal for 2017! 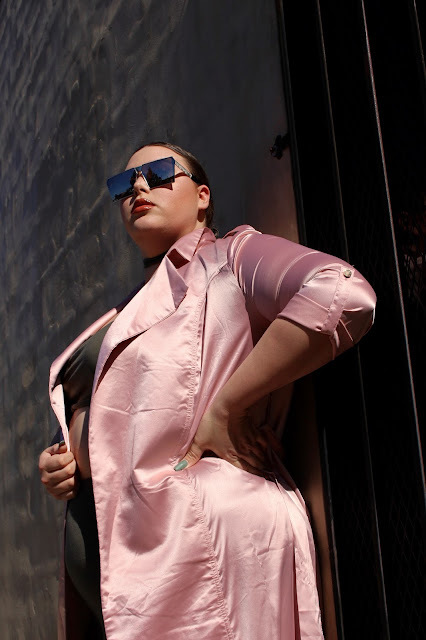 On to outfit details: I've been searching, SEARCHing for satin plus dusters (Have you noticed?!) and thank goodness Nadia and Fashion Nova got me. 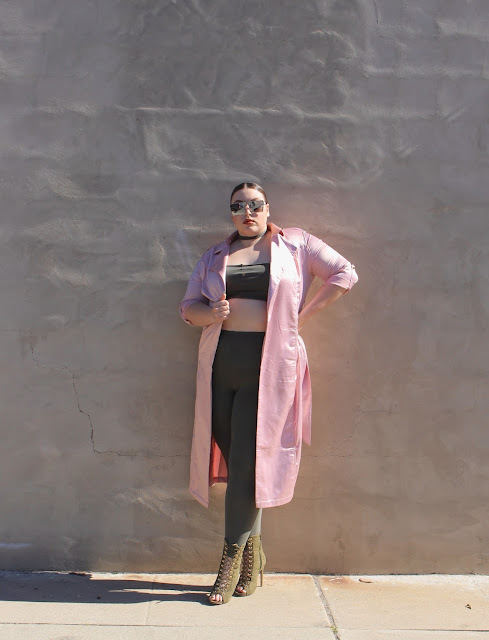 This pastel pink duster I love, it's the perfect thing to throw on to elevate and outfit. I'll link it under photos, use my FN code for discounts (BWORDXO). 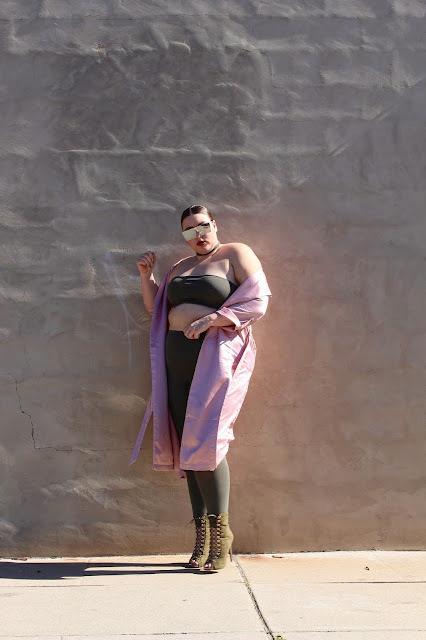 I wanted a leggings set to wear under so I made my own. This leggings were $4 a pair at Charlotte Russe so I bought two pairs and cut one into the tube top and chocker. I love making my own clothes honestly. Expect more of that, if you haven't noticed already haha.